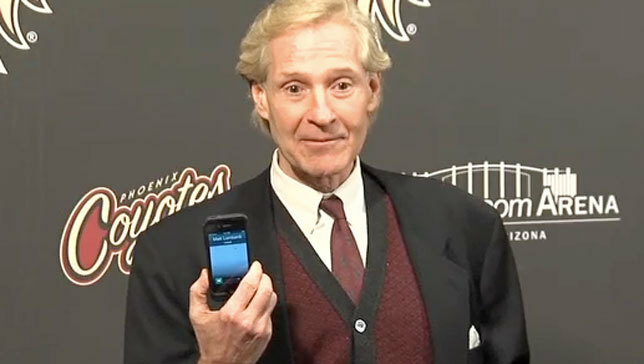 GLENDALE, ARIZONA --- The Phoenix Coyotes announced today that Executive Vice President and General Manager Don Maloney has signed a long-term contract extension. As per club policy, terms of the contract were not disclosed. "We are very pleased that Don has agreed to sign a long-term contract extension with the Coyotes," said NHL Deputy Commissioner Bill Daly. "Since joining the team in 2007, Don has done an outstanding job managing his team and building a competitive roster that has produced on the ice, even given less than ideal circumstances off the ice. The NHL remains committed to securing the Coyotes' future in Glendale under new ownership, and we believe Don's long-term agreement evidences that he is equally committed." In six seasons under Maloney’s leadership, the Coyotes have posted an impressive record of 230-172-56 including qualifying for the Stanley Cup Playoffs three times. 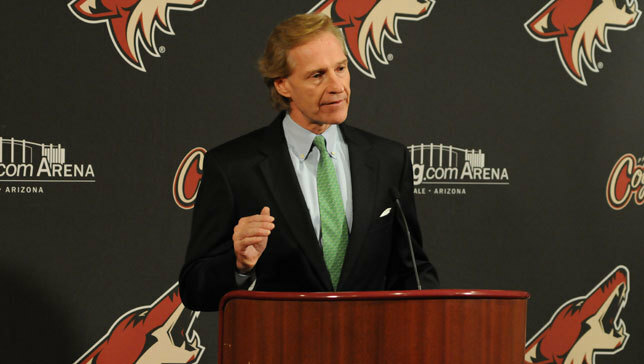 "I am grateful to continue working for this franchise," said Coyotes General Manager Don Maloney. "We have a strong core of talented people, both on and off the ice, who are committed to building a championship team and a first class organization. I would like to thank NHL Commissioner Gary Bettman and Deputy Commissioner Bill Daly for their tremendous support these past few years." In 2011-12, Maloney led the Coyotes to a 42-27-13 record and 97 points, securing their first division championship en route to the franchise’s first appearance in the Western Conference Final. It marked the first time in franchise history that the Coyotes had recorded three consecutive seasons with 40-plus wins. In addition, the Coyotes reached the Stanley Cup Playoffs for the third consecutive year, marking the first time the franchise qualified for the postseason in three or more consecutive seasons since the team clinched a playoff berth in its first four seasons in the Valley (1996-97 to 1999-00). Maloney received the inaugural NHL General Manager of the Year Award following the 2009-10 season after steering the Coyotes through a turbulent off-season and charting the course for the most successful regular season in franchise history. The team finished the 2009-10 campaign with a record of 50-25-7 for 107 points, setting new franchise records for wins, home wins (29), points, and longest home winning streak (10 games; Nov. 21-Dec. 29) while qualifying for the Stanley Cup Playoffs for the first time since 2002. In his first season as general manager of the Coyotes in 2007-08, Maloney’s club posted a record of 38-37-7 for 83 points, an improvement of seven wins and 16 points from the previous season. The 16-point increase represented the fifth-largest point increase by an NHL team during the 2007-08 season and was also the greatest one-season point increase in Coyotes history. Among Maloney’s stable of highly-regarded draft selections during his tenure as Coyotes GM are: defensemen Connor Murphy (20th overall, 2011), Brandon Gormley (13th overall, 2010), Oliver Ekman-Larsson (sixth overall, 2009), Maxim Goncharov (123rd overall, 2007), goaltender Mark Visentin (27th overall, 2010), forwards Henrik Samuelsson (27th overall, 2012), and Mikkel Boedker (eighth overall, 2008). Maloney was named GM of the Coyotes on May 29, 2007. He is the seventh general manager in Coyotes/Jets franchise history. Prior to joining the Coyotes in 2007, the 54-year-old a native of Lindsay, Ontario, spent the previous 10 seasons as a member of the New York Rangers’ front office, most recently serving as the team’s Vice President of Player Personnel and Assistant General Manager. He was primarily responsible for assisting Rangers President and General Manager Glen Sather in all player transactions and contract negotiations. Maloney also served as Assistant General Manager for Team Canada squads that won gold medals at the 2003 and 2004 IIHF World Championship in Finland and Czech Republic, respectively. Maloney’s first front office position in the NHL was Assistant General Manager of the New York Islanders following his retirement as a player with the club on Jan. 17, 1991. Maloney later served as General Manager from Aug. 17, 1992 to Dec. 2, 1995. Among the players drafted by the Islanders during Maloney’s tenure with the club were Todd Bertuzzi, Bryan McCabe, Zigmund Palffy, Tommy Salo and Darius Kasparaitis. As a player, Maloney registered 214 goals, 350 assists and 564 points and 815 penalty minutes in 765 regular season games over 13 NHL seasons with the Rangers, Hartford Whalers and Islanders. He also collected 22 goals, 35 assists and 57 points in 94 career Stanley Cup playoff games. Maloney spent 11 seasons with the Rangers after being selected by the club in the second round (26th overall) of the 1978 NHL Entry Draft. He helped lead the Rangers to the 1979 Stanley Cup Final by posting 20 points (7-13-20) that postseason, a playoff record for rookies at the time (since broken). Maloney played in the NHL All-Star Game in 1983 and 1984. He was named Most Valuable Player of the 1984 All-Star Game.